“Science is a wondrous process fueled by creative thought. So too must the communication of science be thoughtful and enriched with creativity. 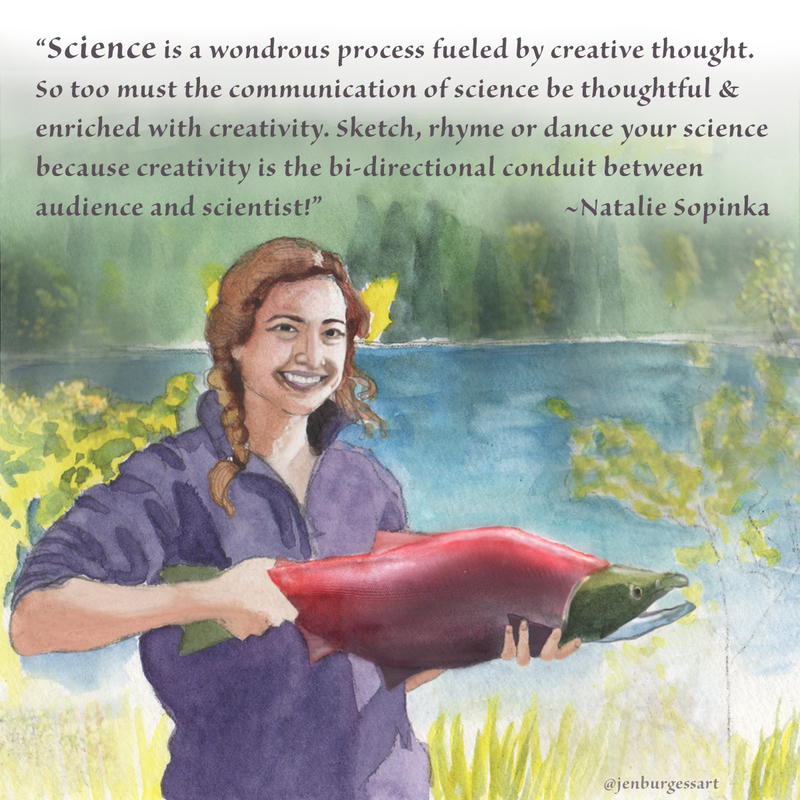 Sketch, rhyme or dance your science because creativity is the bi-directional conduit between audience and scientist!” – Natalie Sopinka, researcher and fish poet. Originally posted on September 12, 2016.